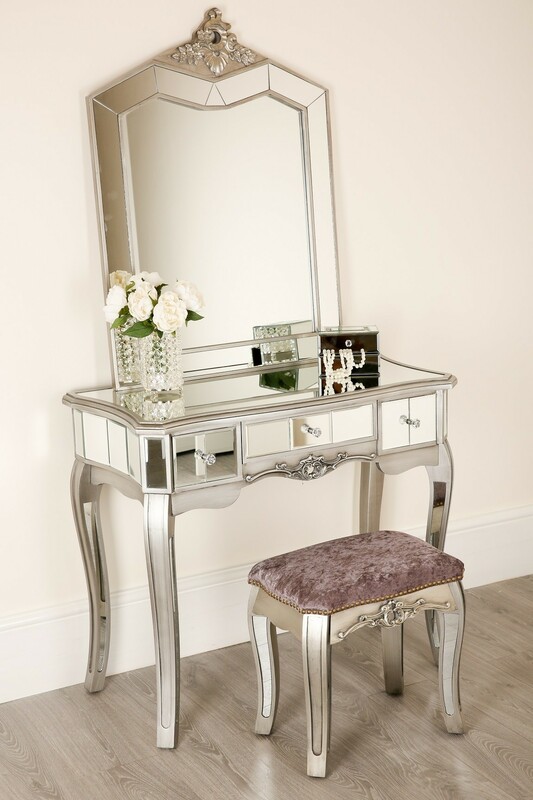 Have your very own boudoir with this stunning mirrored dressing table set. Complete with an exquisite dressing table finished with a beautiful ornate design featuring one storage drawer. Also includes a large free standing mirror (wall affixing recommended) and the perfect velvet covered stool to finish the look. Please note: This is a curb side delivery, please inspect the box on arrival. If any visible signs of damage please write this on the acceptance slip to the driver. Item arrives flat-packed, requiring minimal self-assembly.